Burgeoning craft cocktails and tapas concepts makes Don & Tori at Tras Street stands out in the way of offering a more wholesome menu. 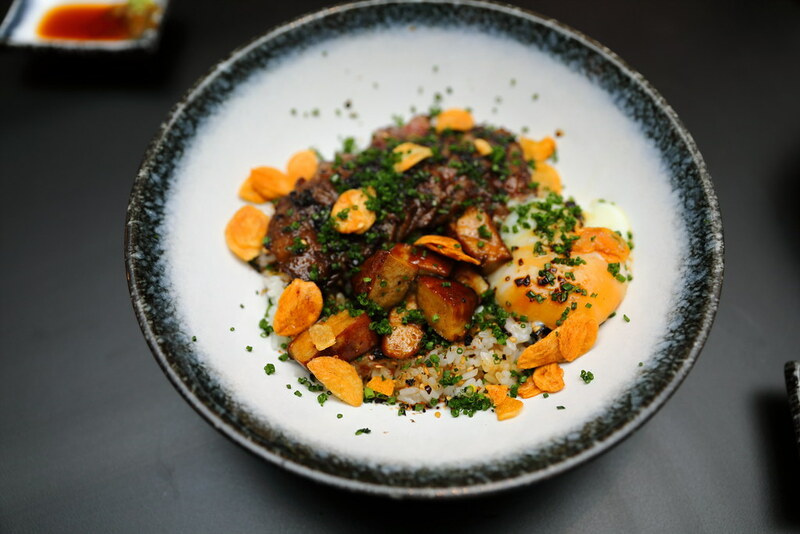 As a modern Japanese restaurant, it features donburi bowls that are high on quality ingredients, such as Truffle Wagyu Foie Gras Don, along with crowd pleasing dishes like your Sakura Ebi Angel Hair Pasta. 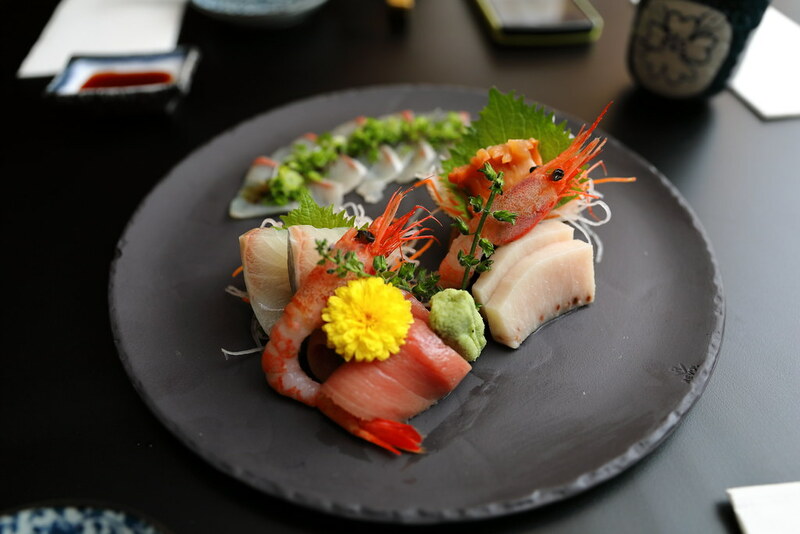 Its Omakase (Lunch $45/$60 Dinner $128/$158) could be worth exploring if you wish to have a taste of fresh seasonal ingredients flown the renown Tsukiji Fish Market in Japan. 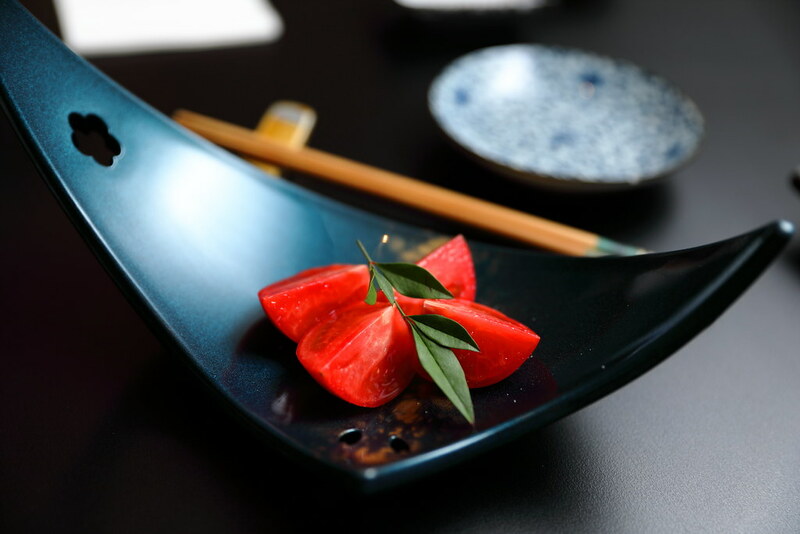 Ours began with appreciating the taste of nature - Japanese Fruit Tomato. The sprinkle of salt atop draws out the sweetness which is intense and deep, and the flesh of the tomato is almost meaty. Next we had the Sashimi Platter. 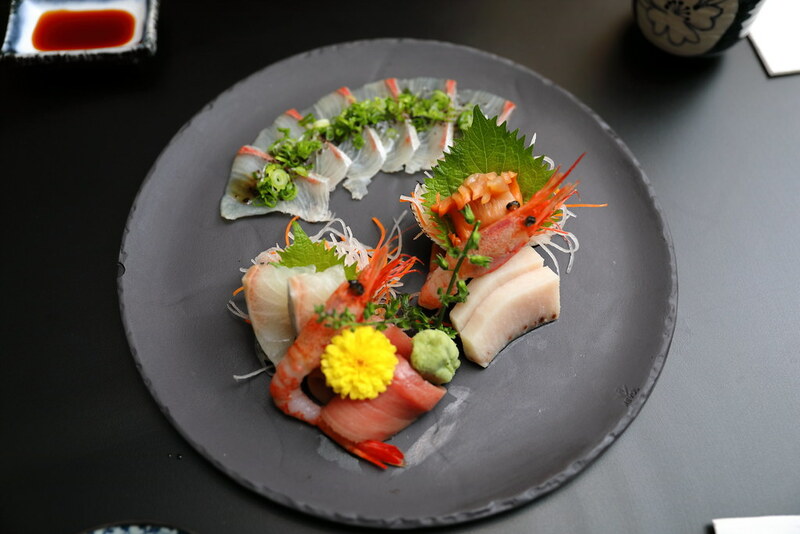 What's interesting is the dressing of the sashimi with truffle paste, which does a good job in plumping up its texture and layering the taste. Equally enticing is the sushi platter and my favorite is definitely the hotate - sweet, firm yet tender to the core. 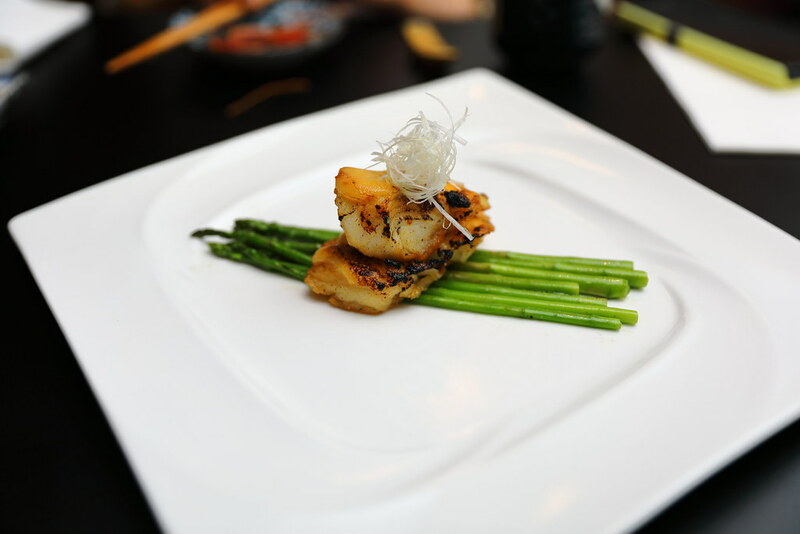 Happy to see beautifully seared Cod Fish as my grilled dish, though it's nothing surprising. Buttery with crisp edges, ensuing a satisfying mouth-fill. Presented as Pumpkin under a Cloud, our stew dish, stewed pumpkin crowned with a egg white cloud, bound together by mashed peppery onions (I assume). 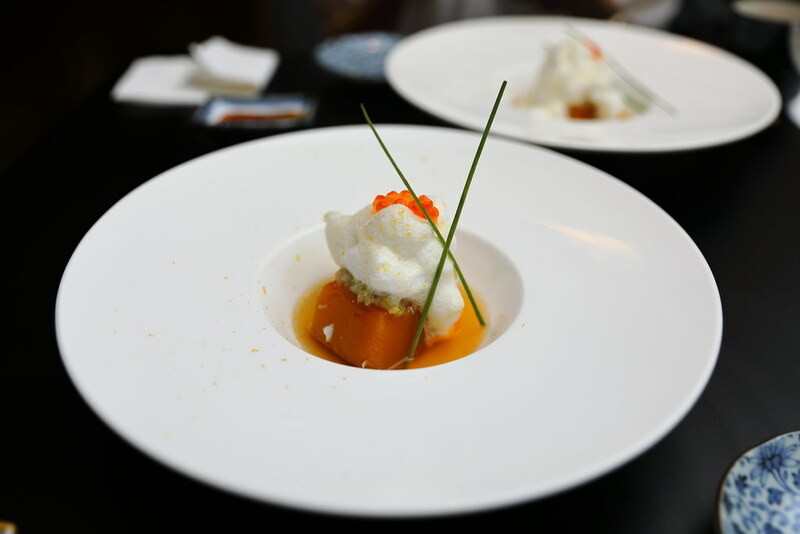 I didn't feel that the layers manage to come together as one and the flavourful broth fails to permeate the pumpkin. It doesn't comfort my senses as a good Japanese stew would. We were then introduced to one of its highly sought after Don - Truffle Wagyu Foie Gras Don ($38). 3 premium, luscious ingredients coming together, turns out to be a crowd for me. The wagyu was beautifully seared and the accompanying creamy foie gras was in a balanced portion. The sliced garlic crisps punctuates the dish with an aromatic bitter-sweetness. The truffle, which comes in a form of truffle paste, simply weighs the dish down. It could have been a different story should the truffle comes in the form of shaved truffles. 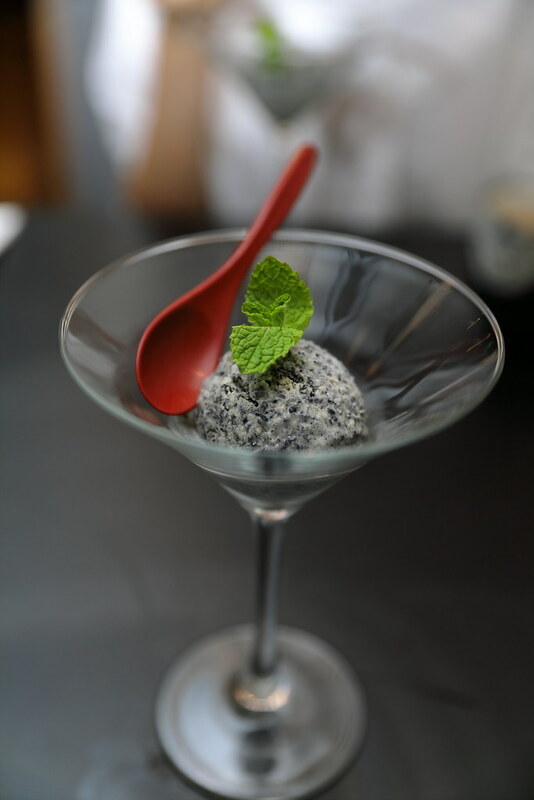 If you love Japanese black sesame ice cream, be sure to try its Homemade Goma. Its coarsely ground texture assures you that it is really homemade! I really like the coarse texture, which elevates the enjoyment. 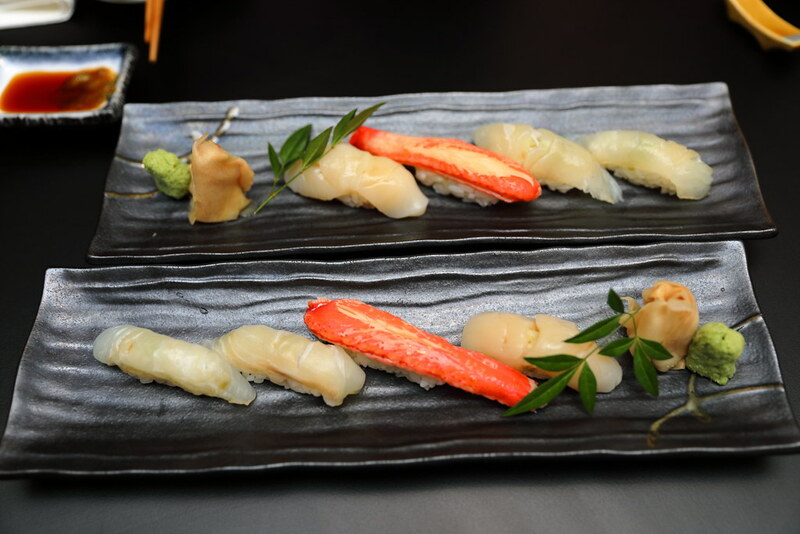 Other staples are available, such as yakimono and makis, which what make this place a considerable option if you want a drink and proper food, not just small bites. Cocktails here are quite intriguing, not just being Japanese inspired, but imagine one with savoury ingredients such as salmon and wagyu. There are always safer choices such as those with yuzu and sakura and house-made syrups. The bar here could be more prominent though, rather being tuck all the way to the back of the restaurant. Decent food, but what might make you come back may be its spacious, yet warm interiors that allow you to have your Japanese meal in comfort. Words by Si An. A girl who is allured by travelling, loves the feel of freedom, smell of the rain and the aroma of fine coffee and food.